Three important books in the New Testament are 1 Corinthians, Galatians and Colossians. It’s interesting to know that all three of these letters written by the Apostle Paul were sent to the churches largely because the believers in these places had allowed things other than Christ to replace Him in their experience. With the Corinthians it was gifts and knowledge. With the Galatians, religion had replaced Christ and with the Colossians, it was their top culture. All good things yet all had replaced Christ. How about us? Have we allowed things other than Christ Himself to become our focus? As the apostle Paul was writing chapter 12, 13 and 14 of 1 Corinthians, he had much more in his heart then just dealing with the problem of the improper use or abuse of the gifts of the Spirit. There was an overwhelming burden on his heart and in his spirit concerning several crucial matters related to the building up of the Body of Christ, the church. 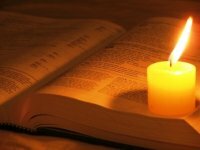 In chapter twelve and thirteen, he emphasizes five things: Speaking, the Spirit, the Body, God’ administration and love. Then in chapter 14, he comes to another main item, the superiority of one particular gift for the building up of the church. Among the main spiritual gifts describe in this portion of the word, one stands out as superior for building up the church. What is this unique superior gift? Did you ever wonder what the purpose of the gifts of the Spirit, and the baptism of the Holy Spirit is? Many Christians thinks the goal is their own personal self edification. But the apostle Paul care more for the building of the Body of Christ. Stay tune for a special word from 1 Corinthians chapter 12. Many new believers shortly after receiving Christ as their Savior and experiencing a wonderful and dynamic salvation, go through a period of doubting and questioning. It seems that the new life they found in Christ to somehow evaporated. At such a time it’s common to question whether or not we are really saved. But to the Corinthian believers, Paul pointed out that we all receive two initial gifts when we received Christ. First, we received eternal life, that’s the uncreated divine life of God. And we also received the Holy Spirit. Based upon the word of God and these two indisputable gifts we have an outward assurance and the inward confirmation that he who has the Son has the life.